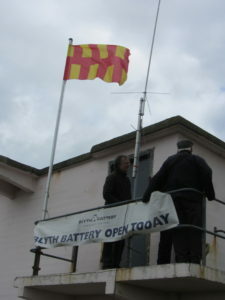 Last year we did International Marconi Day from Blyth Battery. The World War II bunker allowed the club to transmit most of the day from the Northumberland Coastline. After we found the remote location at the end of a car park we set up an aerial. Inside some construction was in order. 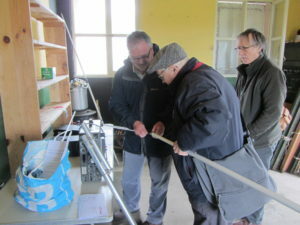 Working with members of the Tyneside Amateur Radio Club we ran a small station for most of the day on VHF and HF frequencies.